Please register for this free event through Eventbrite. 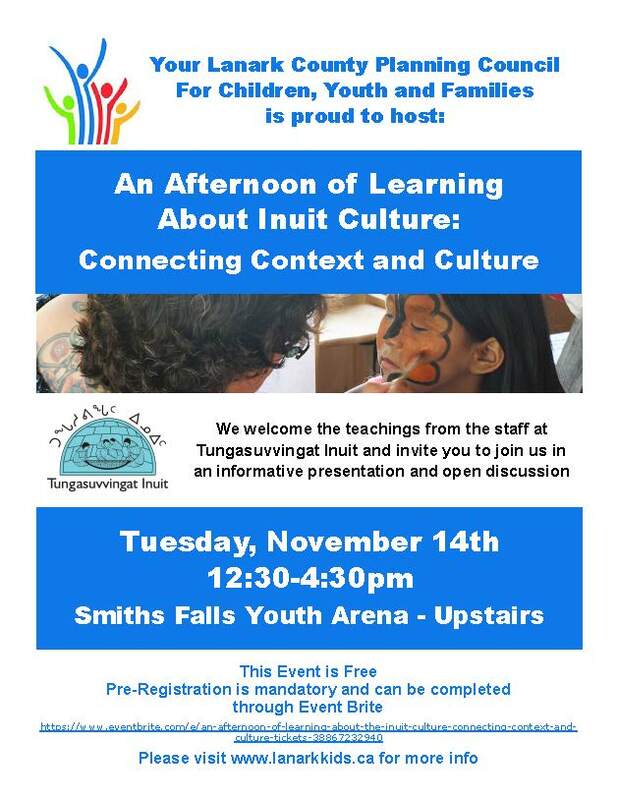 This event is brought to you through the Community Issues Working Group of the Lanark County Planning Council for Children, Youth and Families. What started as a discussion about Indigenous Kids in Care in the south has become a larger issue of context. Please join us for the discussion, and help with any forward actions. Following a presentation at the community services committee meeting earlier this month, council has approved the Ontario Early Years Child and Family Centre (OEYCFC) Plan. The plan builds on the Ontario Early Years Policy Framework and the Childcare Modernization Strategy, aiming for a system that is more integrated and accessible and that promotes a service-delivery model that strives to enhance programs and services. 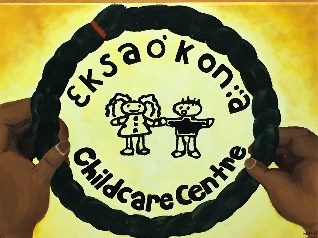 In February 2016, the Ministry of Education indicated it would be transforming the ministry-funded child and family programs to the new OEYCFC model to better coordinate services and make them easier and more convenient for children and families to navigate. OEYCFC will have three core services: engaging parents and caregivers, supporting early learning and development, and making connections for families. The county will be responsible for the systems management of the new OEYCFC starting in January, which includes oversight of funding and program accountability. Over the past year, the county has undertaken an assessment of services, data-collection and a service delivery review, which also includes meeting with parents/caregivers at a variety of program sites in Lanark County. As a result of this assessment, the county has determined service delivery of the OEYCFC can be achieved through an agreement with Children’s Resources on Wheels, which has delivered service in Lanark County for many years. During 2018, which will be a transition year, no significant change in service is expected. In addition, the Early Years Specialist position contract position will become a permanent position supporting the early years programs, and a Data Analysis Services position will be filled on a one -year contract basis in January, which will support planning and research. For more information, contact Mary Lou White, Children’s Services Manager, at 1-888-9-LANARK, ext. 2301.